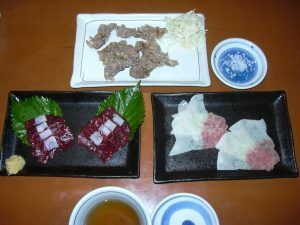 On the Japanese web community about whaling, one recommends people to eat the whale dishes cooked by the specialists since we can learn what the whale dishes really are. And I felt that I needed to learn. So I ate the whale meat dishes in a restaurant some months ago. I’m no good at cooking. So I couldn’t learn the skill anyway. I didn’t ask the cooks to teach it first of all, though. 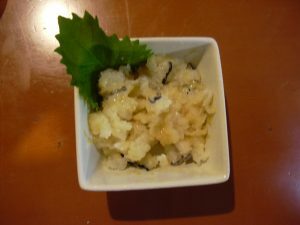 All I can say about the whale dishes is that they are really delicious. I wish that the whale meats were much cheaper. 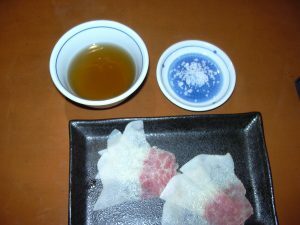 These pictures really show how delicious those dishes are. 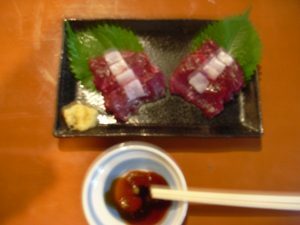 Format ImagePosted on December 23, 2016 June 20, 2017 Categories Opinions, UncategorizedTags dolphin freak, sea shepherd, whales, whaling1 Comment on I ate whale meat in a restaurant. And I took some pictures.